One of Houston’s unofficial party ‘hoods, this vibrant district houses mixed-use development and has a fantastic restaurant, bar, and arts scene, so it’s no surprise that it draws a hip crowd ready to imbibe. Note: For the purposes of this list, Midtown is defined by this map. Axelrad Beer Garden – On nicer days, there’s nowhere better to hang out than in the sprawling yard at this craft beer garden, which rocks hammocks, communal tables, board games, and a next-door pizza joint in addition to a solid roster of brews, wines by the bottle, and craft cocktails. Click here for directions. 13 Celsius and Mongoose Versus Cobra – Those looking for less of a party atmosphere and more relaxed vibe should check out 13 Celsius, an impressive European-style wine bar with a knowledgeable, friendly staff and a smartly-curated list of dynamic wines from around the world. The wines are stored in a custom-built, climate-controlled, above ground cellar at a constant temperature of 13 degrees Celsius, offered by the bottle and glass and poured alongside eats like cheese and charcuterie, duck rillettes, and mortadella panino. Click here for directions to 13 Celsius. And if beers are more your thing, be sure to check out sibling establishment Mongoose Versus Cobra, another Midtown heavy-hitter known for its cool vibe, craft beers, and artfully made drinks. Click here for directions to Mongoose Versus Cobra. The Dogwood – Hit the rooftop patio at this Midtown standby, which can get be either rowdy or chill depending on the night. Either way, you can sip Deep Eddy Sweet Tea cocktails, try your hand at the ring game, and nosh on eats from fried pickles to bacon-jalapeño burgers. Click here for directions. Holman Draft Hall – From the team behind Wooster’s Garden and Heights Bier Garten, this trendy draft hall and lounge rocks an enviable indoor-outdoor space, complete with plush seating, swings, bar tops, a terrace, and a long, handsome bar. Choose from over 100 taps of beer and wine, plus frozen cocktails from Wooster’s, as you nosh on Korean burritos, tandoori nachos, and A-plus wings. And be sure to check out boozy brunch. Click here for directions. 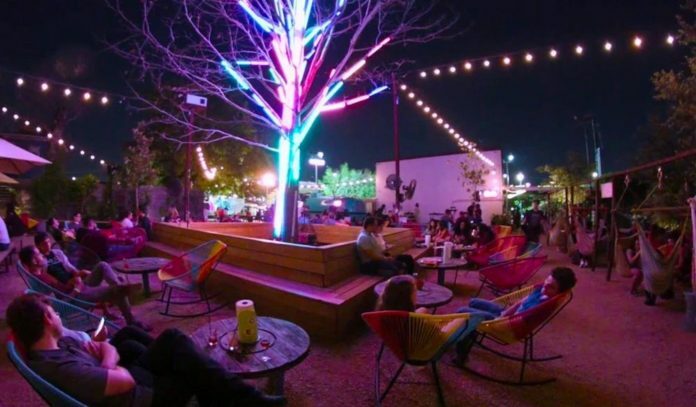 Little Woodrow’s – You’ll find Midtown’s best patio space (with misting fans, shaded seating, TVs, swings, games and more) at this laidback watering hole and sports bar. 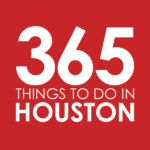 You’ll also find beer buckets, fun events like happy hour, seasonal Turtle Racing and crawfish boils, Friday night whiskey, scotch, and beer flights, and Wednesday steak and trivia. Join the “Big 50” club to work your way through 50 beers and earn a spot on the “Big 50 Wall of Fame.” Click here for directions. Wooster’s Garden – Brews run from the hoppy and bitter to the tart and alluring at this trendy beer garden, while 42 impressive house cocktails—which pack things like bitters, syrups, and flames—are refreshing and spicy, tropical and tiki, and spirit-forward. Quench your thirst alongside elevated bar snacks, including bone marrow crostinis, cauliflower pastor, and grass-fed burgers. Click here for directions. Other great options – Get your fill of beers and sports at Christian’s Tailgate, Beer Market, The Maple Leaf Pub, and Pub Fiction; hit up steak night at spots like Community Bar, Saint Dane’s Bar & Grill, and Front Porch; sing your heart out at Glitter Karaoke and Howl at the Moon; chill out at low-key bars Komodo Pub, The Dog House Tavern, and 3rd Floor; hit the nightclub or the beer garden at Oakmont Houston and go wild at fun nightlife spots Shot Bar and Belle Station; and check out newer bars like The Brass Tap, Jack & Ginger’s, and fresh-faced rooftop bar 77 Degrees.